Social media has changed how business operate, there is no denying that. Millions of businesses are trying to rule every single social media platform these days. They’re Spending hours and thousands of dollars in testing each platform. However, what most business don’t understand is that not every single platform suits there business. When choosing your right social media platforms it really depends on who your targeted demographic is and what you are trying to achieve. In most case, businesses only need to target 1,2 or 3 platforms to get the results that they’re searching for. Facebook is easily the most popular social media platform currently. In the first quarter of 2018 Facebook had 2.19 Billion users . Facebook is a social networking platform and service where users can post comments, share photographs and links to news or other interesting content on the Web, play games, chat live, stream live video and even better run targeted ads. Owned by Facebook , Instagram is quickly becoming one of the biggest online platforms recently reaching 1 billion users. A lot of these users being the younger demographic. Instagram is a social networking app made for sharing photos and videos from a smartphone. Instagram suits lifestyle, food, fashion and luxury brands. 2.8 million Australians use Twitter, however in other countries such as USA it is much larger and more effective with about 69 million users. Twitter is an online news and social networking service on which users post and interact. Twitter allows you to share links, videos, images and text that is no more than 140 characters long.Twitter is popular for trending events, sourcing news, hashtags and for sharing links. Pinterest is another platform that is great to share images such as photos, drawings, infographics and visual blog posts. It is also the perfect place to share images of your products and services. However, men account for only 7% of total pins on Pinterest. LinkedIn is the social media platform for professionals. LinkedIns goal is to connect employers and employees. It’s great for networking and making industry contacts. The platform has nearly 400 million users and is used in over 200 countries around the world. In Australia, there are approximately 6 million active users. LinkedIn is a great place to share your resume, links, blogs and information about business. Google + currently has around 300 million active monthly users. It’s a great social network to be on if SEO and page ranking is a focus in your marketing strategy. The platform is a great place to share videos, links, blog post and images. It is also a great place to network with employers and employees. Snapchat is the new age social media platform. the demographic is considerably younger compared to the rest that we have listed. Snapchat is a great place to share images and videos that are taken in real time. It currently has 158 million people using it every single day. The key to getting your marketing in the right direction is knowing your audience. We hope that you already know who this, but the things you should be thinking about are: Gender, age, income, location, interests. By identifying these key points you’ll be able to learn even more about them. Such as what drives them to purchase, where they’re spending most of their time, what excites them. Once you have discovered more about your exact audience you can start to think: Where exactly would they be spending MOST time. Step #2 – Where is your audience hanging out the most? Now that you have a clear understanding of who your audience is, you want to start thinking about where exactly they would be spending majority of their time. If you are selling luxury clothing for people aged between 18-30 knuckle down and look at all the platforms. Generally you’d want to use Pinterest, Instagram and Facebook. If you’re still struggling to find hone in on exactly who your audience is and where they would be spending most their time use Buzzsumo. Buzzsumo helps determine where your industry or niche is getting the most engagement. By using Buzzsumo or doing the research yourself you should have a pretty good indication of where your audience hangs out and which platform may be the best option for your brand. Step #3 – Just test it out! At Prestige social media we believe in “Just doing it”. At the end of the day the best way to truely figure out where your audience is going to come from, is just doing it. Look at your competition and see what social media platforms they are using to grow. Use them as case studies and start to run your own small campaigns. Once you have been able to determine what your competition is doing, you should have a pretty clear indication of which social platform is going to work best for your brand. 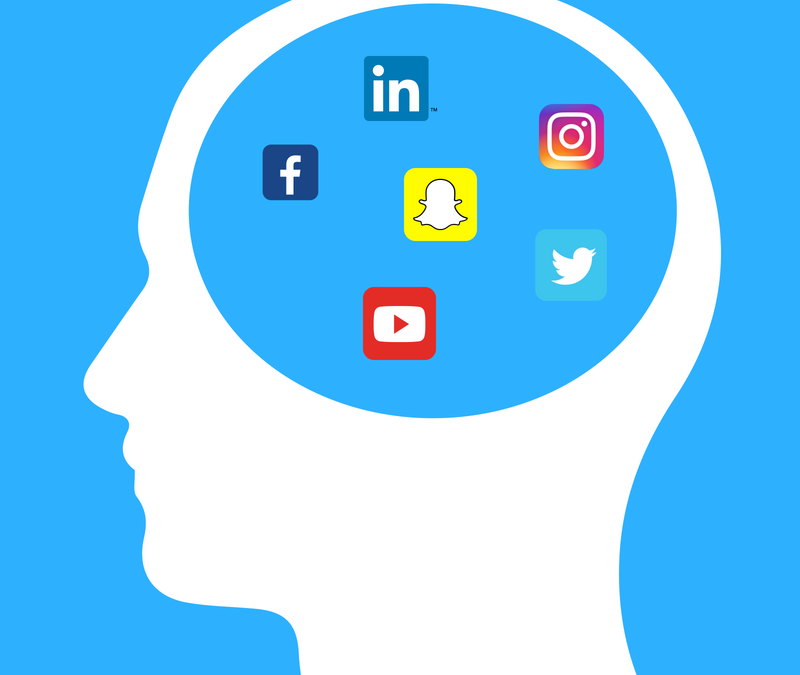 Overall, if you really want to make your business stand out from the crowd and tap into a huge source of potential customers, you have to be present on social media. There are so many social media platforms out there, however not every single one will work for your business. Spend time researching at first, test in small amounts and watch your competition.